The Geneva Summit of 1985 was the first meeting between President Reagan and Soviet General Secretary Gorbachev to talk about the arms race, particularly the Strategic Defense Initiative, and to establish personal relations between the leaders of the world’s superpowers. Held November 19, 1985 at a chateau owned by the Aga Khan, the first meeting went over schedule by half an hour. 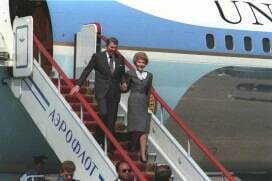 It was a promising start, and Gorbachev accepted Reagan’s invitation to visit the U.S. within the year. The summit helped transform U.S. relations with the Soviet Union. But as with all such major diplomatic events, a vast amount of preparation took place behind the scenes before the first words were spoken by the heads of state. Ronald D. Flack served as the Deputy Permanent Representative in Geneva from 1984-1987, and in his interview with Charles Stuart Kennedy in 1998, he discusses the excitement of preparing for the summit, along with some challenges and successes during the months of planning. Read more about President Reagan, Mikhail Gorbachev, the Cold War or a publication about U.S.-Soviet summitry. FLACK: The most remarkable and exciting thing that happened while I was in Geneva was the Reagan/Gorbachev summit, the first one, in 1985…. 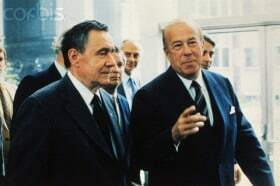 [Secretary of State George] Shultz came to Geneva many, many times for meetings with the Soviets getting things back on track to restart the negotiations. At that point I realized that this was going to happen and I remember having a meeting with the Ambassador telling him, “You know, as soon as these talks get started, when we talk seriously with the Soviets, we can expect that there will be talk of a Reagan/Gorbachev summit and my guess would be that it will be here in Geneva. We had better start thinking about that because we will be responsible for it.” Well, he didn’t pay much attention to that. He thought I was kind of dreaming wildly, or something. But, indeed that is exactly what happened. They came in November 1985 and had their meeting. The decision was made in the summer, I think it was July, to hold the meeting in Geneva, and the first White House contingent of 15 people arrived on August 1 and we began our work with the Soviet mission and the Swiss. I was not involved much in the substance of what was going to be discussed between Reagan and Gorbachev, but very much involved in all of the details and arrangements: where the President and Mrs. Reagan were going to stay, the agenda, what the Swiss would be doing, what activities they would have, Mrs. Reagan’s program, etc. All of these things were organized by the mission in coordination with the White House. In the end, it turned out very well. I have often said that when you have a presidential visit, and I have had them elsewhere, I hope relations between the U.S. and the other country involved will survive the visit. In this case, it was U.S. and Swiss relations, because they were basically the host country. I also, of course, was working closely with our Ambassador in Bern. It was John Davis Lodge, who was a very old man, in his eighties (seen at right at a young age.) 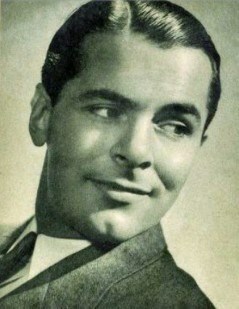 He was a movie actor in the twenties and thirties and was a political appointee… He also did a film with Shirley Temple when she was a little girl. There was a great deal of friction between my ambassador at the mission and Ambassador Lodge as to who was going to be the more important of the two ambassadors involved with this visit. Obviously we were the ones who were doing the work and Bern wasn’t, but Bern felt they were the representatives to Switzerland. In terms of protocol they were absolutely right; the president was coming to Switzerland. For example, who was going to meet the President at the bottom of the steps? Should it be Ambassador Lodge or should it be my ambassador in Geneva? They had a very bitter time over this. Strangely enough, I found this really laughable, that two grown men would be doing this, but in fact they were. The Swiss can be very strict, very difficult and very serious and in fact they are also very efficient, very good at this. I remember someone in Washington, after having dealt for a couple of months on these arrangements, describing Switzerland as “the nicest police state in the world.” That is what it is. They are really in control of what is going on in their country. They were good to deal with and even survived the Secret Service. I remember one particular meeting when we were making arrangements for things at the airport and the director of the airport was present. The Secret Service, as they always do, handed the director of the airport a lapel pin for him to wear so they could know who was who in the crowd, etc. The Secret Service was getting more and more put out and anxious to have him do this. The director turned red and shut up. It caused a diplomatic incident. 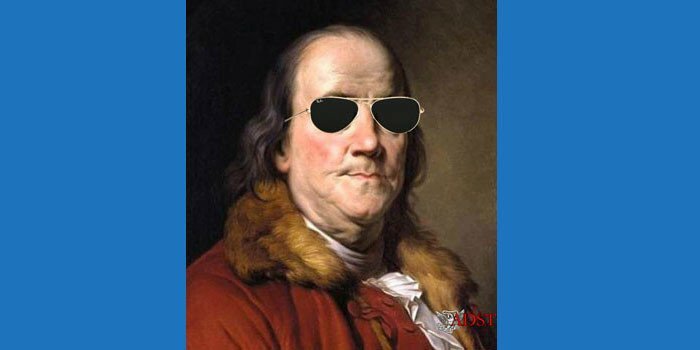 He went to his government and complained that he had been threatened by the Secret Service. This kind of thing is always difficult but to be expected…. He then said, “Ron, it is impossible that you are better informed than I am.” He was very sure of himself and he was right, Gromyko came in on time. It was a very tense time. Security, as you can imagine, was incredibly tight. My wife, who is French-born, was Nancy Reagan’s interpreter. She visited a drug rehabilitation center, a school, laid the cornerstone of the new International Red Cross museum, and things like that. The Soviets were secretive, but we got what we needed. There certainly was no openness about it. Things basically went well and in the end I can’t think of any major problem that involved the Soviets. We gave the reception at the beginning and the Soviet ambassador gave the reception the next night. The stories that I have, and I have lots of them, are administrative type anecdotes about where Reagan stayed or about the chairs that Reagan and Gorbachev sat in, etc. I was not involved, of course, in the substantive discussions, except only on a peripheral basis. Not many people were. The mission in Geneva is a very big mission. One of the wonderful facilities it has is a very large international style conference room. For a press conference we put bleachers around the insides of the room because we had an enormous amount of press, as you can imagine. S hultz and Gromyko were having a meeting with just a couple of people around them in one of the offices of the mission and there were dozens of hangers-on at the assistant secretary and under secretary level from the Department and the White House that were just milling around in the hall waiting for them to come out. The room was ready for the press conference half a hallway away and I said, “Let’s go into the conference room and wait there. There is no point hanging out in the hall here.” No one would move to the reception room where the press conference was going to be. 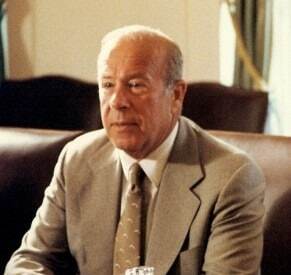 I soon realized what the reason was when Shultz and Gromyko came out and then proceeded to come into the press room, where all of the cameras were on them. This group wanted to be following as closely behind as possible to make it look as if they were part of the negotiations. If they were already in the room, everyone would have seen that they, of course, were not with the Secretary in the meeting and, of course that would ruin their credibility. There was a lot of that going on. There were far too many people from Washington, from the Department and all the other agencies. We had a thousand people from the White House. We had 35 servants from the White House. I do think [the summit] had a tremendous impact on Gorbachev, particularly. I think he came to realize the importance of the Reagan administration here and the President and of the weight of the responsibility that he had in this negotiation. That was the beginning of perestroika and glasnost. That was when they began to realize that they weren’t doing things right, that there were better ways of doing things. 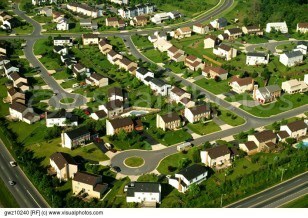 Someone told me that when Gorbachev was on one of his visits to the States, he and the President were on a helicopter going up to Camp David or something, and they were flying over the northern part of Washington into Maryland and Gorbachev was looking at all these subdivisions which from the air looked beautifully laid out. He looked at Reagan and said, “How do you do that?” Reagan apparently told his aides afterwards that it is mind-boggling to even think about how you would answer a question like that. It goes back to the very basics of economics. The question of “How do you do that?” showed the intellectual limits Gorbachev had and the need he felt to really do things differently and learn. It was a highly successful meeting. You may recall that some of the meetings following it in Iceland, etc. were less successful. This was the first one and the one where they really got together for the first time and got to know each other. It was beautifully orchestrated, if I do say so myself. I certainly had a lot to do with it, but a lot of people in the White House were good at this as well. We were able to provide the type of environment that was really conducive, I think, to very, very good talks. When everybody left, we had a lot of work to do to clean up, so to speak, but we felt that we had been a part of an historic occasion and that it made a difference.